Below are a selection of the sites that we recommend or regularly enjoy to read, we hope you enjoy them also. Scotch Malt Whisky Society Independent Bottler UK Worlds largest members only Independent bottler – bottling from 129 distilleries. Undiscovered Scotland All Things Scottish UK Online Guide to Scotland. The site is a combination of visitor guide, accommodation listing and business directory, and aims to show you what the country is really like. International Wine and Spirit Competition Wine and Spirits UK The International Wine and Spirit Competition (IWSC) was founded in 1969 and is the premier competition of its kind in the world. Its aim is to promote the quality and excellence of the world’s best wines, spirits and liqueurs. Scottish Roots Ancestral Research Service UK Scotland’s most experienced genealogists. Tracing family trees since 1984. Experienced genealogy researchers provide you with detailed ancestral research, searching onlyauthentic records from Scotland’s main record office, New Register House. Here, Scottish Roots search birth, death and marriages certificates, census returns, parish registers and tombstone inscriptions. WhiskyCast Whisky USA WhiskyCast is the cask-strength podcast featuring news and interviews from the world of whisky. The Whisky Tasting Club Whisky Tastings UK Get whisky tastings delivered to your door with the Whisky Tasting Club. 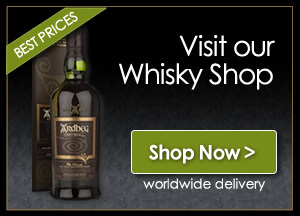 This site has grown out of Dominic Roskrow’s Norwich whisky tastings group. We send you 5 double measures (50ml) of specially selected whiskies from around the world, when you want and as often as you want. Cost per tasting is £25 + £2.95 postage. We start tastings in September 2010. Whisky Connosr Whisky Social Network UK Create your own online whisky cabinet and show off your collection, rating each bottle as you go. Build up a wishlist of whiskies you’d like to try and record your whisky cabinet history (for those dearly departed drams).Catalogue, rate and review your favourite (or least favourite!) whiskies and discuss your experiences with other members. Compare tasting notes and scores with hundreds of active reviewers. Whisk(e)y Apostle All Things Whisk(e)y USA Whisk(e)y Apostle is about two guys proselytizing the faith of the golden dram. Whether we’re answering your questions, helping you find the perfect dram, or just introducing you to the wonderful world of whisky; we want to help you raise a dram and imbibe in the water of life. activities, castles, islands, photos and more. Whisky Etc. Magazine Dutch Whisky Magazine Netherlands Whisky etc. magazine is the most leading and only independent lifestyle magazine about Whisky in the Netherlands and Belgium. Every year there appear four issues of this magazine from Uitgeverij Lakerveld, Turfschipper 53, 2292 JC Wateringen. John Lamond Scotch Whisky Writer, Industry Expert & Master of Malt Scotland The site of whisky writer, John Lamond, author of The Malt Whisky File, Le Snob Whisky, The Whisky Connoisseur’s Companion & The Whisky Connoisseur’s Book of Days, the font of all knowledge, creator of Scotch Whisky evening classes, compiler of tasting notes – a veritable guru. Heart o’ Scotland All Things Scottish USA Heart o’ Scotland began with an interest in our Scottish ancestry and our love of books. It’s grown to include just about anything connected with Scotland and its culture. The Jewish Single Malt Whisky Society Whisky and Interviews USA Whisky Blog with unique reviews and opinions on Scotch Whisky, Japanese Whisky, American Whiskey and Bourbon. Also monthly interviews with key people within the wide world of whisk(e)y. The Whisky Sites Directory Whisky Website Directory Worldwide The Whisky Sites Directory – Whisky, Whiskey and Bourbon Sites. If you have a link you would like us to add to our directory, please get in touch.